Support - Artillery. Cost: 3. 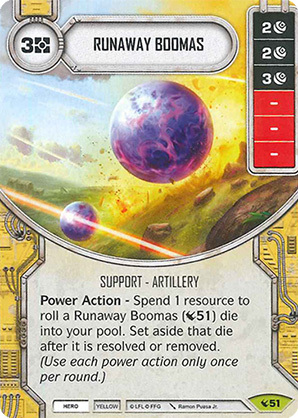 Power Action - Spend 1 resource to roll a Runaway Boomas (51) die into your pool. Set aside that die after it is resolved or removed.